Acrylic paint on 3 sheets of 18"x24" plexiglass with Japanese Chunky Kozo paper. Date: June 2017. 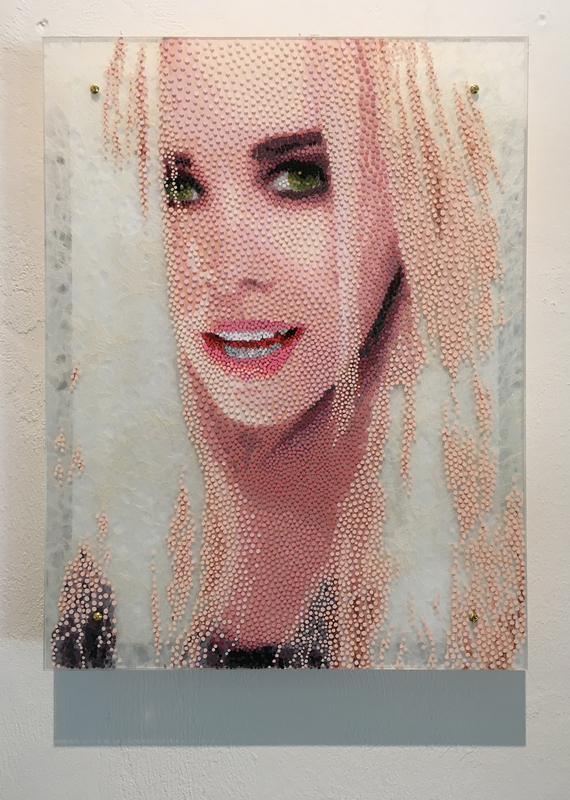 The subject of this portrait is Petra Iston. 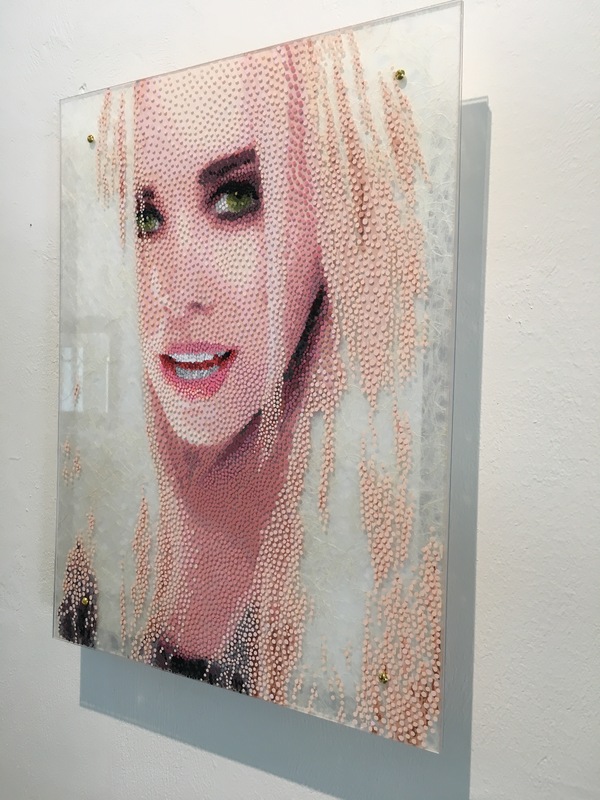 She is partners with her husband JJ Graham in the Salvo Art Project gallery located in Palm Coast, FL. In the summer of 2017 Petra and JJ were in the process of moving their gallery into a new building and were doing some fundraising to help with gallery finances. I volunteered to paint this portrait of Petra and donate it to the gallery to help with their fundraising. When I first saw this image of Petra on her Facebook page I knew it would be perfect for this project. 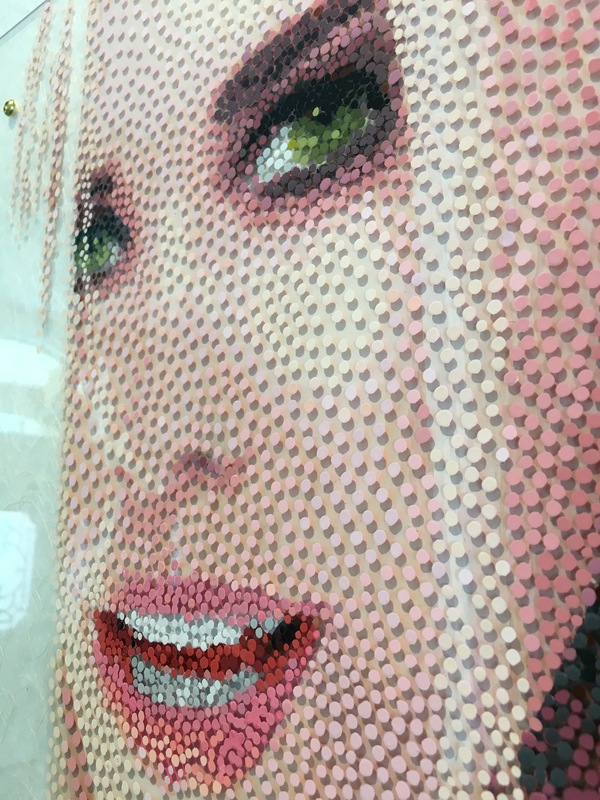 Here is a short 1 min video that shows what is painted on each of the 3 sheets of plexiglass for this portrait of Petra Iston. It's my first attempt at helping those that can't see the painting in person understand what is going on with my paintings.